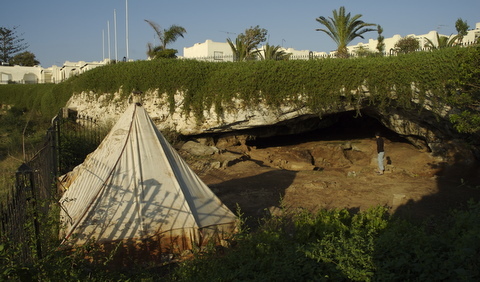 The archaeological site of Smugglers’ Cave (la grotte des contrebandiers) is an important prehistoric site with remains of early modern Homo sapiens. The site, located near the beach in Témara, Morocco, was first discovered in the 1950s by Abbé Roche. Since that time the site has yielded stone tools, animal remains, evidence of the use of fire, and bones of the humans occupying the cave. 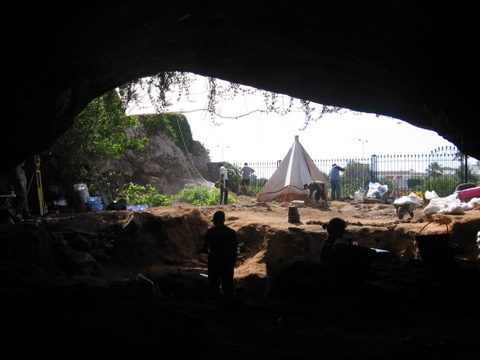 In 2007, new excavations at the site led by the University of Pennsylvania Museum (UPM) and the Institut Nationale des Sciences de l’Archéologie et du Patrimoine (INSAP) started. This blog will discuss work at the site and how archaeologists go about setting up and doing the excavations. Specialists participating in the research will be asked to contribute blogs on their respective areas of expertise and how it relates to the research at the site. 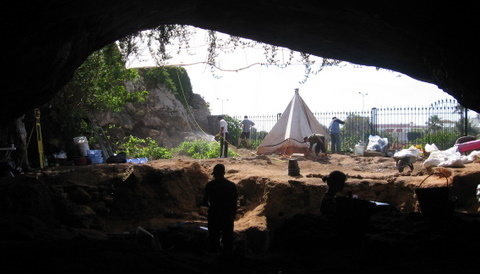 Work at the site to date demonstrates the potential of Smugglers’ Cave for understanding the occupation of the area by groups representing early anatomically modern Homo sapiens. Among the most important goals are to establish an absolute chronology of the Aterian occupations, to reconstruct the paleoenvironment in the area of the site and its use by the prehistoric inhabitants, to reconstruct the use of the site itself, and to verify the integrity of the deposits. To accomplish these goals, an international team of scholars representing many diverse specialties has been brought together, and they will rely on the very latest methods and theory in stone tool analysis, paleontology, geology, and absolute dating techniques.